Are you a beast on the bongos? Could you call your Paradiddles perfect, are you a terror on the Timps. Then due to a change of circumstances you could March to the beat of our drum and make a racket in Ferryhill Town Band. Come work with our MD Gareth Sykes who is fully certified as being Drummer friendly and would love to make a big noise with you and our dedicated and passionate group of players. Come and be the Sergeant Pepper in our lonely hearts club. 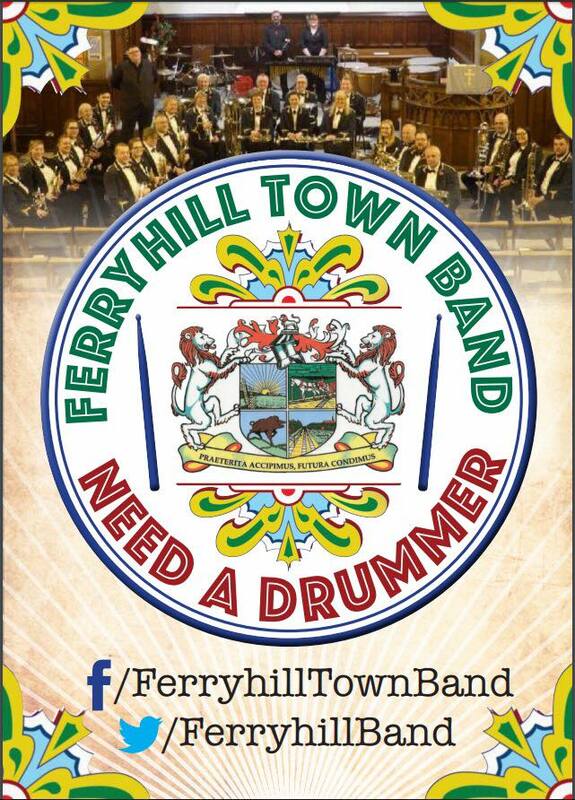 Ferryhill Town Band are going from strength to strength and working hard towards achieving 1st section status in 2019. We have a varied and challenging concert programme, plenty of contests and a full complement of players. Let’s reach our potential together.